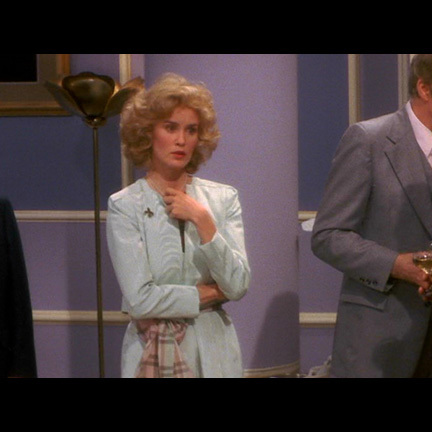 This two piece dress ensemble was worn by the character Julie Nichols portrayed by actress Jessica Lange in the 1982 motion picture Tootsie, which also starred Dustin Hoffman, Geena Davis, and Bill Murray. 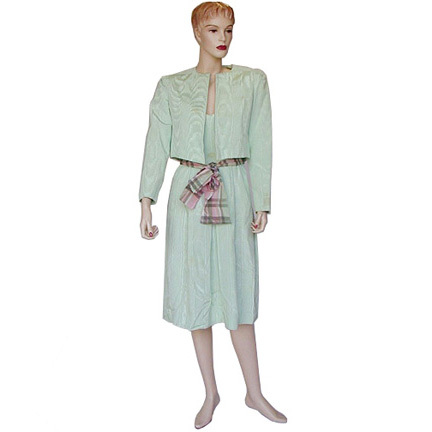 This Saks Fifth Ave light green taffeta dress is accompanied by a matching jacket. 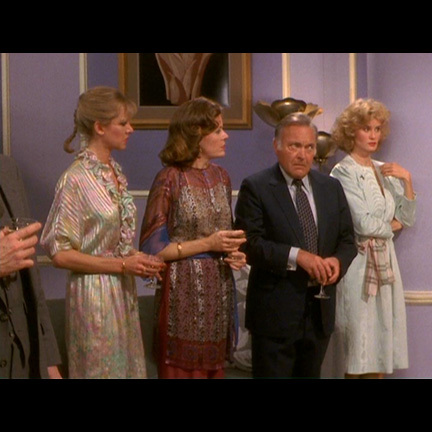 This outfit appeared in the scene where Jessica Lange finds out that Dustin Hoffman's character, Dorothy, is actually a man. 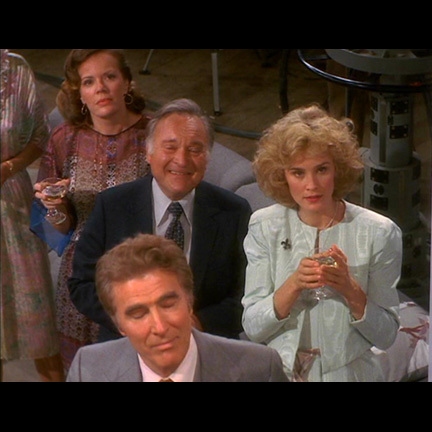 Jessica Lange won an Academy Award for this role in 1982. The garments are in excellent screen used condition and come accompanied by a letter of authenticity from the costume house.